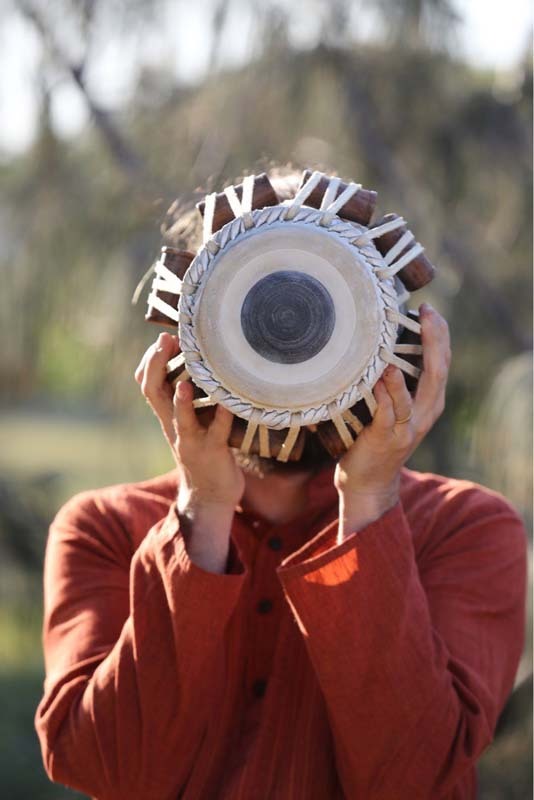 Shen started learning tabla in Melbourne from Sri Debapriya Bhattacharya in 1994 and soon went to the holy city of Varanasi in India to study under Pt. Kaviraj Ashutosh Bhattacharya, a great tabla master of the Benares Gharana. Shen is now mainly based in Brisbane but typically spends several months of each year in Japan and India, and has performed with leading musicians in all three countries. The mood of the music is meditative, undeniably spiritual and at times hypnotic. The sarod has a universal tone language that can enchant even the most inexperienced listener. It can be subtle, meandering, expansive and breathtaking. Unfettered by frets, these two species of lute almost sing. The softer strings of the oud are a contrast to the wire-strung lyrical north Indian lute, the Hindustani sarod. Hear two separate classical music traditions playing sublime, powerful music. Raga is a precise, subtle and aesthetic melodic form of Hindustani music. Those played in the morning of the first day of the new year are said to be the most evocative, soothing and calm in nature, as revealed by Saikat.